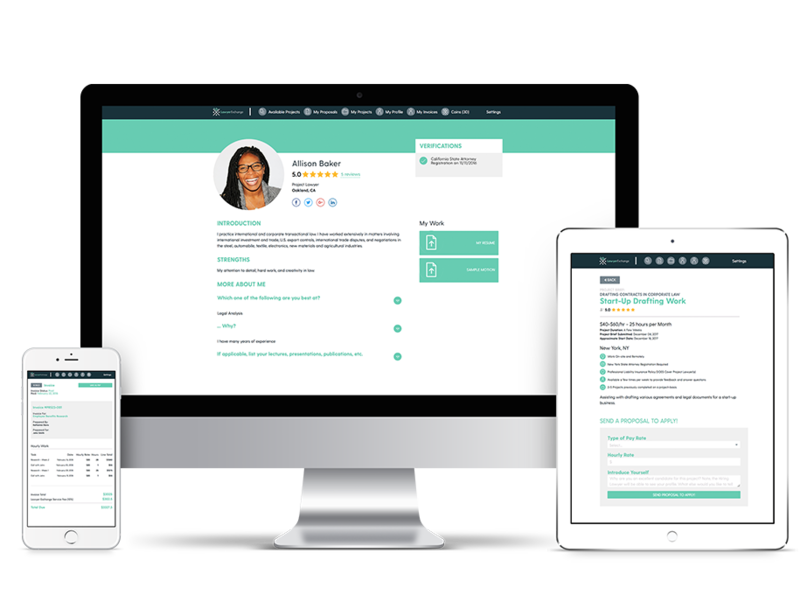 Lawyer Exchange helps Relativity users simplify their contract reviewer staffing process by giving them access to on-demand lawyers looking for project-based legal work within the Relativity platform. As a Relativity user, you can join and post a project to the Lawyer Exchange platform in minutes at no cost. Once the work is done you'll only pay a 10% fee on the project invoice. Sign up and post your legal project within minutes, all at no cost. Once your legal project is posted, you'll begin receiving proposals from project-based lawyers looking to get the job done quick. The Lawyer Exchange platform even handles invoicing and payments. Once your work is completed, the lawyer you worked with will send you an invoice that will include a 10% fee for using the service. It's as easy as that! Have a question? Contact our support team by chat (bottom right corner of this page), phone, email or use the contact us button to send us your message.